← Who does the training? There is an advantage to having a small bladder. It may just mean you meet one of your dearest friends in the restroom. That’s how Karen and I happened to become the best of buddies back in high school – you know, when the dinosaurs roamed the earth. If I remember right she was a freshmen – just moved to our small Canadian town from Boston. I was a sophomore. She was having a really bad day. New town. New school. Freshman. Couldn’t find classes. And I needed to pee. We became fast friends. Now, even though it seems like yesterday, more than three decades has passed since that “chance” meeting and it’s Karen’s birthday today! I really appreciate that she has her birthday a day before mine so I can remember it! Karen’s initial path in life was a tough one. She made some decisions that some would say were wrong. But I don’t think so. All those experiences have made her the remarkable person she is today. She has 2 beautiful daughters, a husband who loves her to bits and she recently became a grandma. She started and ran a successful cleaning business and then went back to school to study nursing. I know the kind of courage it took to make that decision. 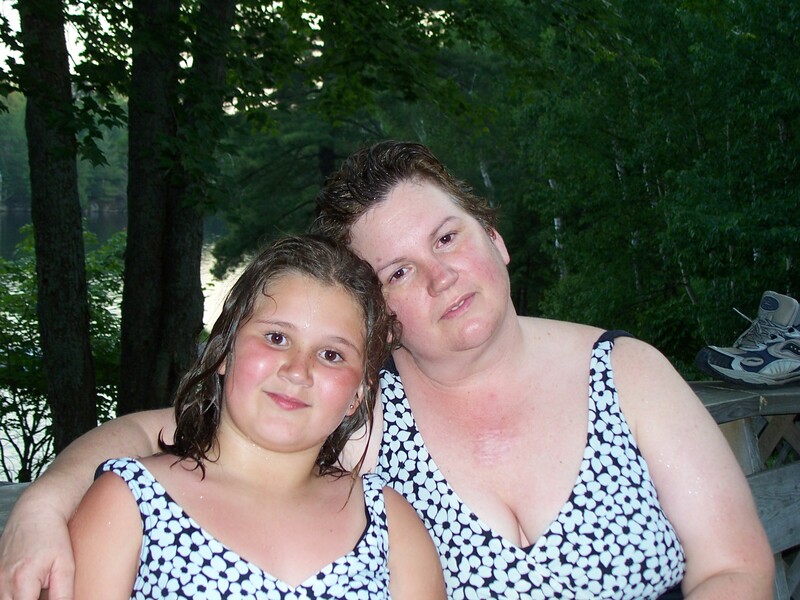 Karen and her youngest, Denise, on a hot summer day at their cottage. I am so proud of her! So Karen, happy birthday!! I can’t be there in person to give you a hug and to hang out and laugh but know that I am thinking of you today!! This entry was posted in Uncategorized and tagged best friends. birthday, high school. Bookmark the permalink.